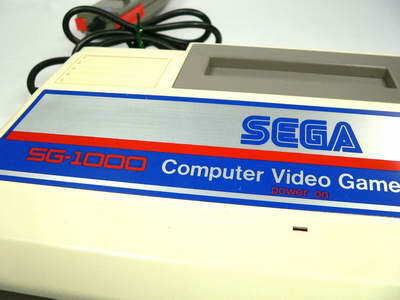 The SG-1000 is a cartridge-based video game console manufactured by Sega. This system marked Sega's entry into the home video game hardware business and they continued to manufacture consoles until the failure of the Sega Dreamcast in 2001. While the system was not very popular, it provided the basis for the more successful Sega Master System. Encouraged by a string of successful arcade titles; which included Monaco GP, Frogger and Zaxxon, and with the prospect of a lucrative, booming video game market beckoning, SEGA like so many other companies during the early eighties began to develop computer consoles for the home. 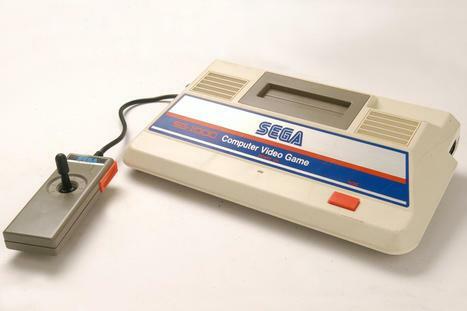 In 1981 SEGA tentatively test marketed its first console the SG-1000 (Sega Game 1000), on the Japanese. But it wasn’t until July 1983 that the console finally made it way into the stores and became available throughout Japan. It’s unclear as to why the machine took so long to be developed from its early test release to the finished article, especially when there were so many rival companies competing for the same shelf space. Had the console arrived sooner, there’s no knowing how different history might have been for Sega. SG-1000 (Sega Game 1000): A console primarily dedicated to gaming. SC-3000 (Sega Computer 3000): A computer version SG-1000 aimed at beginners and was built into a keyboard. SC-3000H (Sega Computer 3000H): An upgraded version of the SC-3000 featuring more memory and hard keys instead of the cheaper rubber/membrane type. Unfortunately the SG-1000 failed to have the impact SEGA had hoped for. By the end of 1983 the video game industry went from boom to bust, particularly in North America where several companies had flooded the market with substandard games and overpriced consoles. Stores were simply unable to sell bad games and the consoles they belonged to. Retailers dismissed video games as a passing fad and the industry eventually collapsed taking many companies down with it. It took several years for the market to recover but its eventual saviour also had its troubled beginnings in 1983. With Atari struggling for financial stability, Nintendo (in particular) became the Sega’s main rival in Japan with the release of the ‘Nintendo Family Computer’ or Famicom as it’s more popularly known. Released in the same month as Sega’s 8bit trio the initial Famicom suffered with a technical fault that affected the operation of the system. Reluctantly amongst all the doom and gloom that was sweeping across North America, Nintendo had to recall all of its shipped units. The Famicom’s motherboard was later redesigned to correct the flaw. The Famicom didn’t re-emerge until 1984 where it would compete aggressively against other systems by courting publishers into exclusivity deals as well as using a number of shady business practices to get one over the opposition. But the decision to stick a low price tag on the machine, with the belief of gaining the majority of its revenue solely through the sale of games and accessories eventually won the day for Nintendo in Japan – it became the best selling system in Japan by the end of 1984. Despite the aggressive marketing employed by Nintendo, SEGA’s computer systems the SC-3000 were sold particularly well. Half aided by the fact that the system closely resembled the MSX standard of computers that was being pushed by Microsoft and ASCII at that time. Unperturbed by Nintendo’s growing dominance and wanting to distance its first console from the market crash in late ’83 Sega set out to redesign the SG-1000 to help reignite interest in its own gaming platform. July 1984 marked the end for the original SG-1000 as the SG-1000 II was born. The Gametap subscription gaming service includes an emulator of the SG-1000 console. As of June 15, 2007, eleven SG-1000 titles were available for play. The open source emulators blueMSX and MEKA are able to emulate the SG-1000 console, among other consoles.